Whether you have one student or twenty, customized BC training is the best approach for many companies. Traditional one-size-fits-all Oracle training rarely addresses the nuances of your specific systems, and BC Oracle training focuses on your specific training needs. All of our instructors are Oracle Certified Professionals and published authors with years of extensive real-world experience. Best of all, single person training shows you how Oracle operates in your environment, on your server, and with your application. 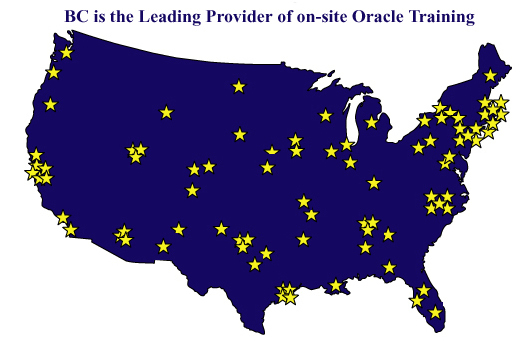 With prices starting at $2,000/day, BC Oracle training is a far better alternative because the course is taught at your site, on your database, with Oracle industry experts at the helm. 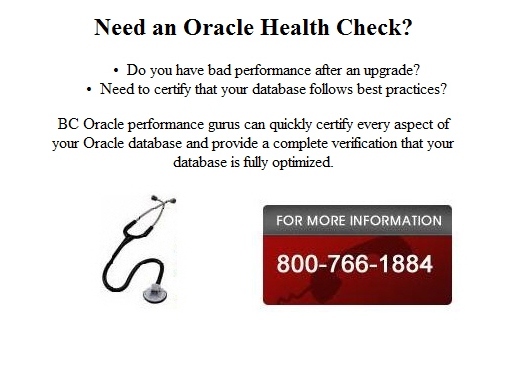 Best of all, our experienced Oracle instructors will focus on the learning areas that you want. Take the smart approach to your Oracle training and get the one-on-one personalization that will ensure your success.